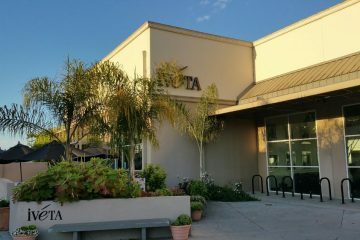 Saturday and Sunday, October 6-7, 20-21, 11am-5pm. The nip is in the air, end of September is here, and I am getting ready for our county's Open Studio Tour. 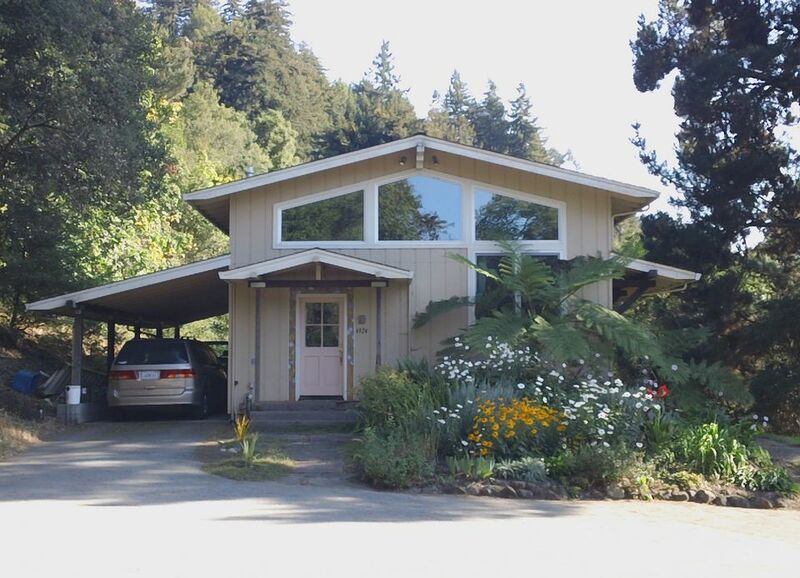 From the redwoods to the sea, and even out my short pastoral road, you are invited to indulge in art experiences with artists in their studios throughout Santa Cruz County. This year I will be open two weekends, October 6-7 and October 20-21. You can find a map to my studio on this page below. Enjoy the short two mile drive from Highway 1 up to my studio, following the big green signs for my studio - number 83 will be on my signs. 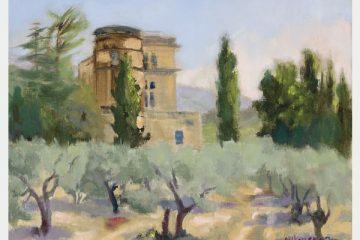 When you visit the studio this year, one of the things you will see is the beginning of a large painting of a vineyard in Woodside. 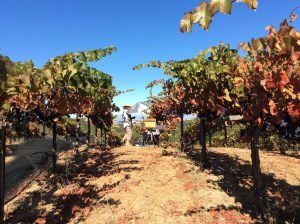 The crimson Pinot Noir leaves and deep violet grapes hanging on the vines the day before harvest, will be a joy to paint in a large format. (The owner of the vineyard commissioned the painting quite recently. I painted my first study a week ago sitting amidst vines loaded with grapes just hours before the grapes were harvested.) 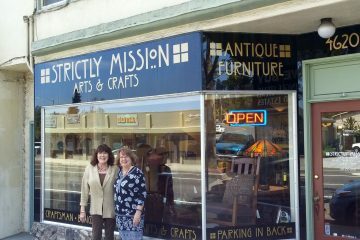 You can also find several of my vineyard paintings at Strictly Mission, in Soquel. 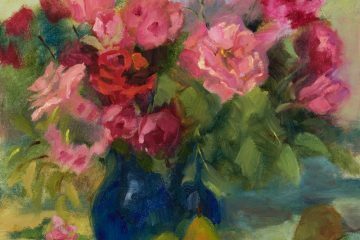 In my studio, I will also exhibit the process of painting a single scene, by showing the scene in different formats and sizes. Pescadero Beach was my subject for this year long exploration. 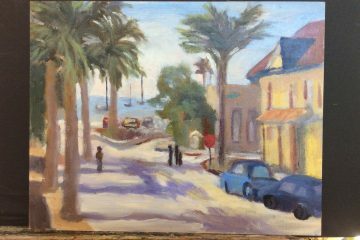 From quick sketches and plein air paintings to a large studio rendition, you will get the chance to observe how the various views developed. A sampling of paintings from my recent travels will be available at Open Studio. 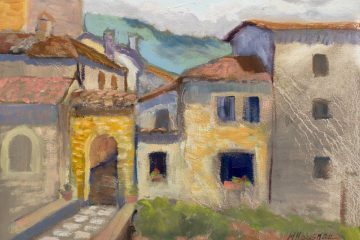 These will include images of France (Provence) and Italy (Tuscany and Venice). 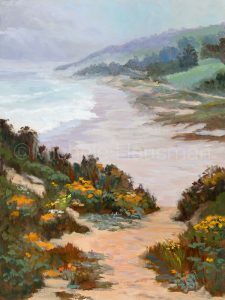 I'll also have paintings of the California coast from Big Sur to Half Moon Bay, as well as some paintings of our National Parks and Regional Preserves. 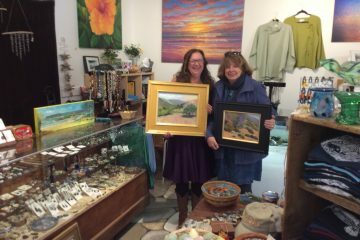 It has been a fun and stimulating September, when so many of you stopped in to see me at the King’s Mountain Art Fair or the Capitola Art and Wine Festival. Your kind words of encouragement and appreciation support my art spirit. Your many art purchases make room for new ideas. 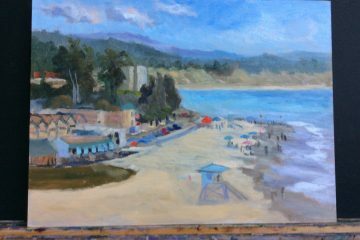 Come by my Soquel studio to see my new paintings, and have a fun day.